... from Urban Outfitters. I am so totally in love with this one, the fabric combinations are killer!! When I saw Silje's finished quilt I knew I had to get started! I looooove her color choices! This is the kind of style I want to do, big pops of color on a neutral background... Love it! 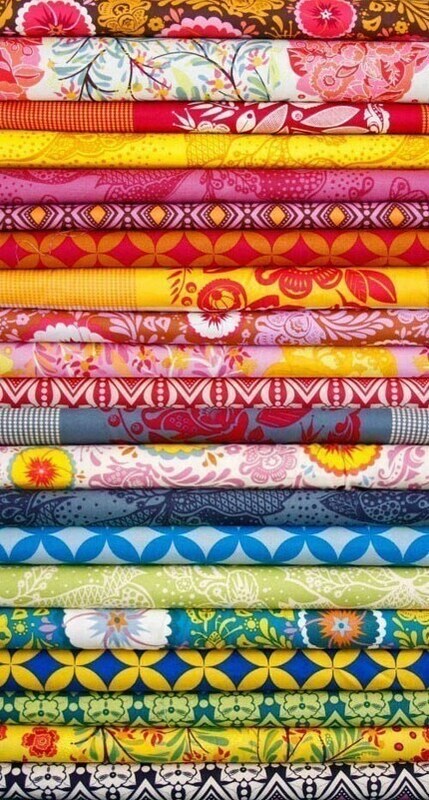 These are pretty much exactly the colors I want to use, and I love all the patterns! Ugh I can't wait to start!!!! Check out afabricoutlet on Etsy, I love her shop! If anyone has any advice feel free to share!!! 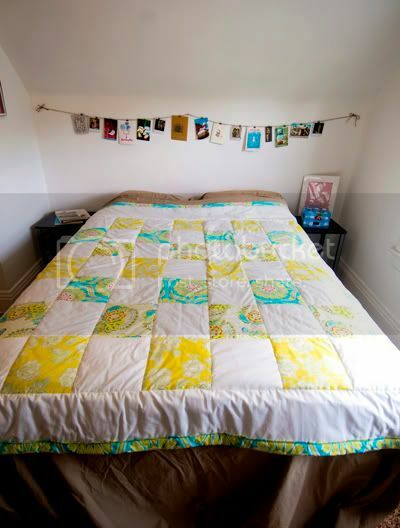 I have absolutely no advice either, but the quilts you have in your pictures are beautiful. 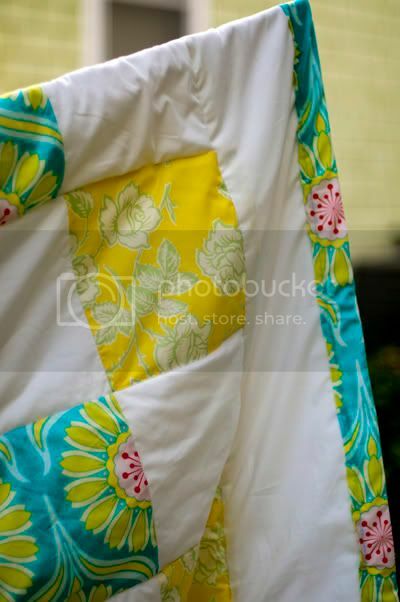 Actually come to think of it, www.purlshoho.com has some stuff on quilting I think, you should check there. Also, I'm your follower now haha!